Mindfulness is the intentional, accepting and non-judgmental focus of one’s attention on the emotions, thoughts and sensations occurring in the present moment. The purpose of mindfulness, deriving from Buddhist traditions, is gently training the mind to be in the present moment. 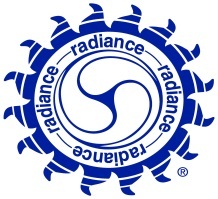 TRT® stands for The Radiance Technique®. It is a carefully preserved and uniquely powerful science that allows you to access universal, whole energy. Although is an ancient science, it is ideal for use in today’s stress-filled world. The practitioner places their hands on different areas of the clients head, front and back. They are balancing the major organs, and all of the many body systems: circulatory, immune, endocrine etc. The practitioner harmonizes the client on all levels. Releasing blocked energy and unblocking your pathways isn’t new, in fact the Chinese have been doing this for many hundreds of years with the use of Acupuncture. EFT enables you to release any negative emotions or limiting belief which is holding you back from living a full life. EFT was first introduced in 1995 by Gary Craig, a Stanford Engineering graduate in lifelong pursuit of personal well-being. EFT is used where limiting beliefs are holding people back from living a full life. It has the ability to help individuals in a wide variety of circumstances, and has far wider reaching effects. NLP is an approach to communication, personal development and psychotherapy created by Richard Bandler and John Grinder in the US in the 1970’s. Its creators claim a connection between the neurological processes (“neuro”), language (“linguistic”) and behavioural patterns learned through experience (“programming”) and that these can be changed to achieve specific goals in life. NLP can treat problems such as phobias, depression, habit disorder, psychosomatic illnesses and learning disorders.